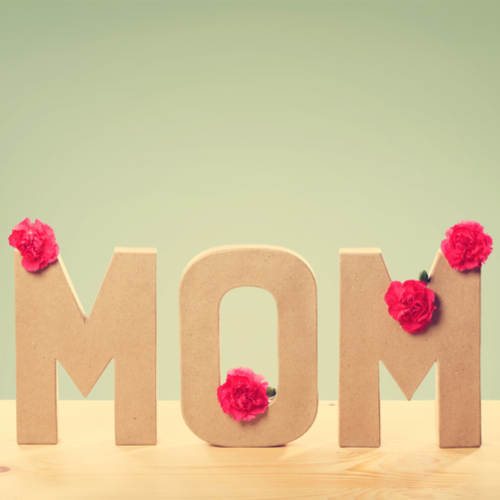 Ready for Mom’s Important Day? Mother’s Day only comes once a year, so you better believe the pressure is on to show your mother just how much she means to you. If you’re anything like me, your mom is your absolute best friend and #1 fan so you should know exactly what to get her, right?… Wrong! Being a college student on a tight budget puts a bit of a restriction on the “world” you think your mom deserves. And even though my mom, and the other moms we checked in with, overwhelmingly say all they want is to spend time with us, we can still get them a little something to show how much we care (recruit any siblings to pitch in for a gift). Luckily we’re here to make it a little easier to pick out a great gift for your mom while making sure you don’t have to be on a strict ramen budget for the rest of the semester. Yes, our moms are beautiful with or without the extras, but our moms, if pressed for a Mother’s Day gift idea, are all about the pampering from perfume to a spa day. Find one in your hometown and treat her to a facial, massage or a manicure and pedicure. Ulta Beauty is a great place to get perfume- perhaps pick out some of the rollerball perfumes in various scents so she has a nice variety (and can travel with them too). Check out the beauty picks at Macys.com from fragrances to gift sets. Or perhaps your mom would love to get a massage, mani/pedi or a foot massage. Groupon has some deals or you can get her a gift card to her favorite nail salon- better even is to go with her – after all, mom just wants to hang with you. My mom loves orchids and loves to maintain flowers, so that’s a home a run in my household. Not only that, but succulents look cute, are inexpensive, and easy to take care of. Any mother will always be plenty happy with just a beautiful flower arrangement. If you want to make it extra special try to figure out (a.k.a. ask dad) what her favorites are. She’ll be sure to Insta that! Save at ProFlowers or 1-800-Flowers or grab some succulents – they come in beautiful colors and you can find some great gift boxes for Mother’s Day starting at $18.00. Show her your life would ‘succ’ without her without spending a fortune. HaveUHeard that Home Depot has some great prices on orchids that you can have delivered. This may seem a bit obvious, but a little time really goes a long way. My mom personally doesn’t expect anything, but she shows a lot of gratitude when I go out of my way to make something myself rather than buying for her. I try to incorporate some pictures or funny memories that I’ve had with her and make sure to include how appreciative I am of her. I love the company Greetabl – you can find some great Mother’s Day box designs and add whatever gift you would like such as the best mom ever candle, quote cards, candy, essential oil and more – you customize it picking out the typeface, your personal message and it arrives in this small customized box. You can even get 10% off by giving your email address. Make mom a gift that says it all from a customized photo book to a rustic personalized frame or card. Shutterfly has some great suggestions with cards priced from $0.95. For those prices, don’t forget about Grandma and your favorite aunt. Or make her a photo book – they can even design the book for you in 3 business days for Mother’s Day. I also love some of the great picture frames you can find reasonably priced on Etsy. Give the gift that keeps on giving- a monthly subscription box. My mom does yoga and goes to the gym so FabFitFun makes a great gift- she can pick out what she wants and every month as she receives her gift, she will think of you! We also like Birchbox for all the beauty samples of makeup, hair, skincare and fragrance samples starting at $13/month. Or check out Scentbirds and she can refill her favorite designer fragrance every month in a travel-friendly spray. My mom loves Pandora. Getting her the charm she has been eyeing is an easy choice for those of you who have moms that collect. My friend’s mom is all about the trendy jewelry and loves Baublebar which she can pick up online or at Nordstrom. You can also find some fun jewelry for mom here. I love chocolate which I would say I got it from my momma. From chocolate covered pretzels and strawberries to chocolate chip cookies, as long as the word chocolate is in front, I know my mom is all about it. I even found a chocolate lollipop flower bouquet for only $22 filled with 8 chocolate flowers in the color of your choice and other great chocolate gifts. Get creative with the gifts! Honestly, as cheesy as it sounds, it’s the thought that counts. And hey, if you forget until the last minute, I’m sure even her favorite coffee will bring a smile to her face.